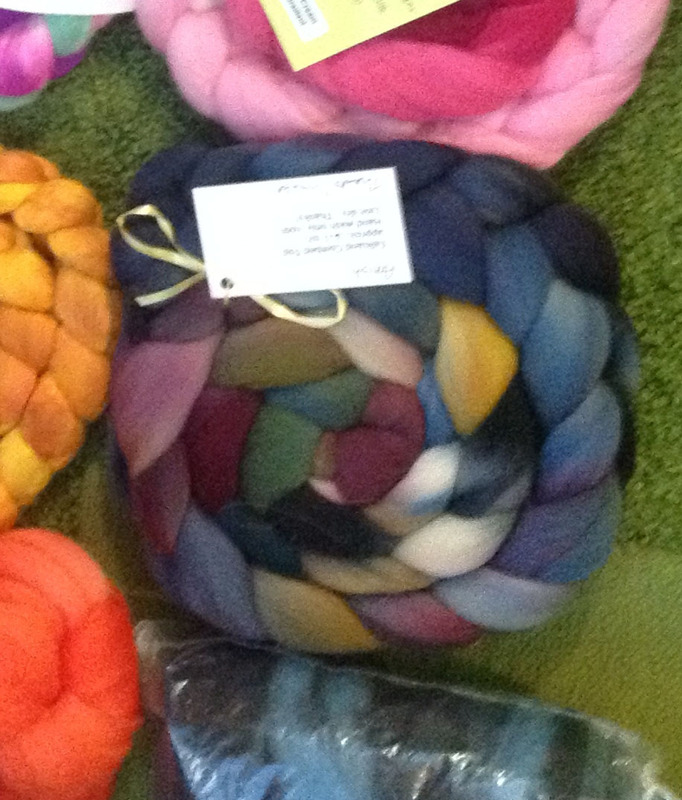 It seems as if I have taken a summer hiatus from spinning. I think being gone a lot, coupled with the really amazing weather where I would rather be outside, kept me away from my wheels. I finally finished plying up this fiber from Julie Spins. I initially started the spinning mid-March, and am just now finishing. I had put this on my Spin-the-Bin challenge. Not sure that I will finish everything, but I am making progress. I ended up with 534 yards of 2 ply from a 5-6 ounce braid. During the plying process, I was afraid that it was all going to be muted blues. 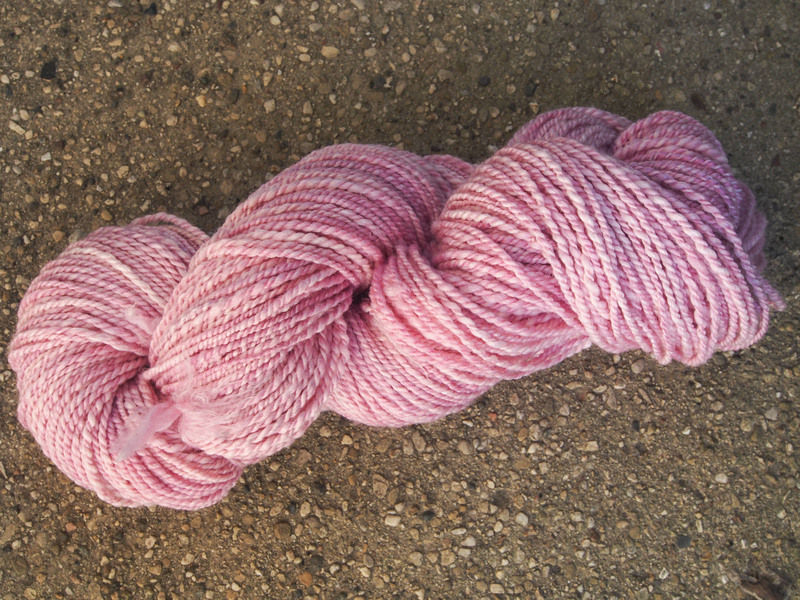 But when skeined up, it took on these beautiful subtle colors. 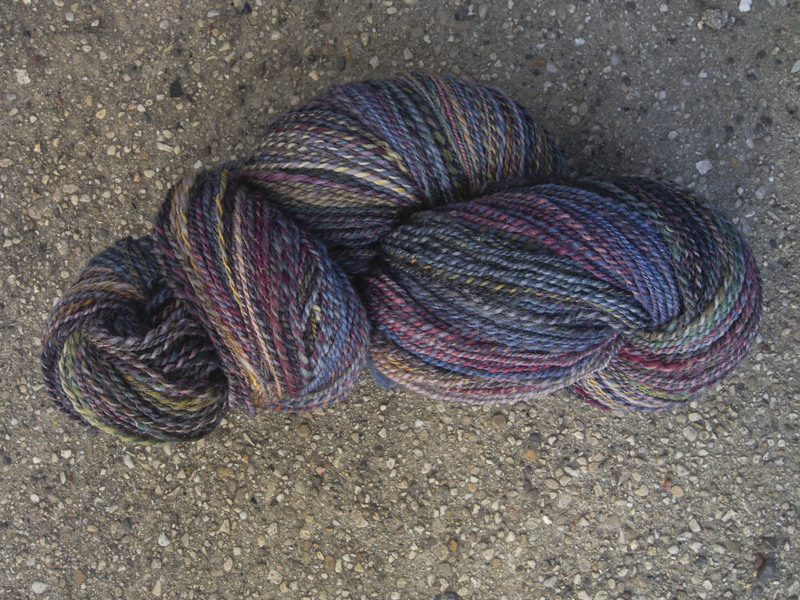 And I finished spinning AND plying this Merino/Bamboo/Nylon from River’s Edge Fiber Arts, it is so incredibly soft. 198 yards of 2 ply. 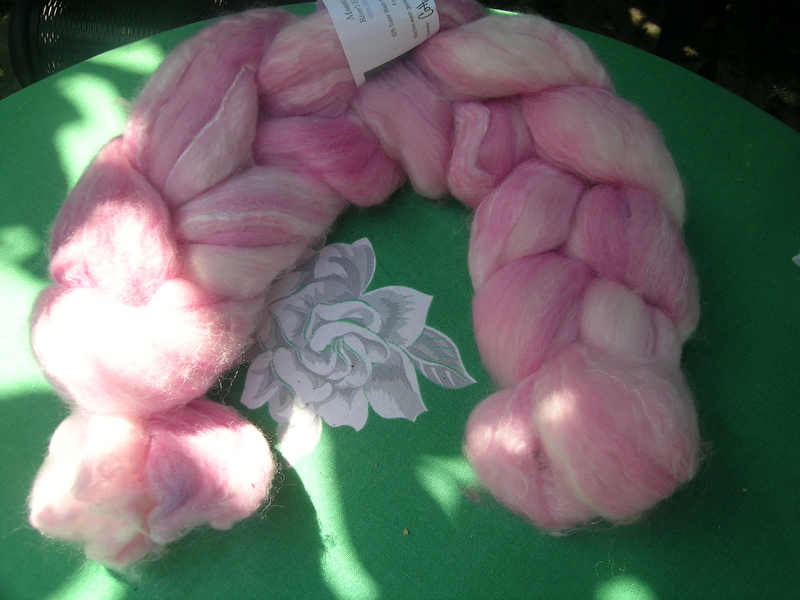 This was purchased 3 years ago at the Wisconsin Sheep & wool Festival, about time it was spun up. 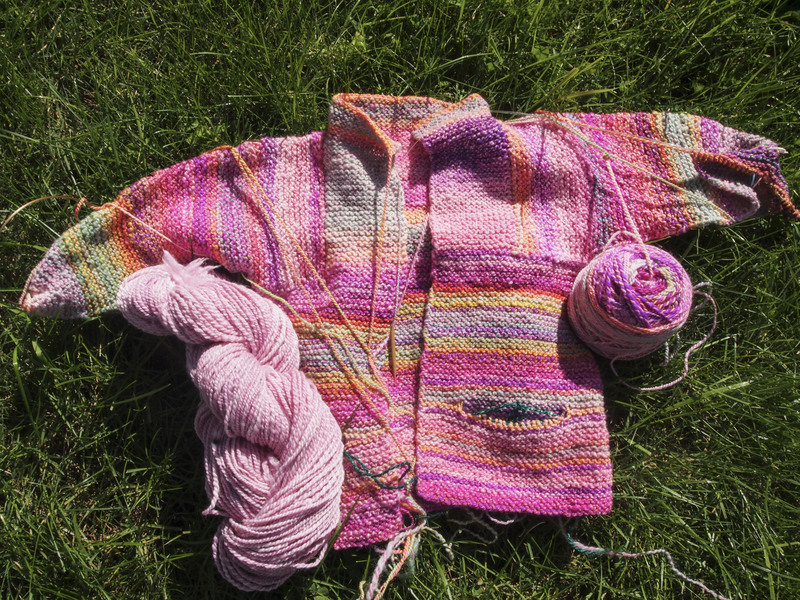 This yarn is to coordinate with Baby Ria’s sweater. The plan is to put the iCord edging on with this pink. I thought that using the variegated from the body would not look as good. And, I should have enough to make a cute matching hat. 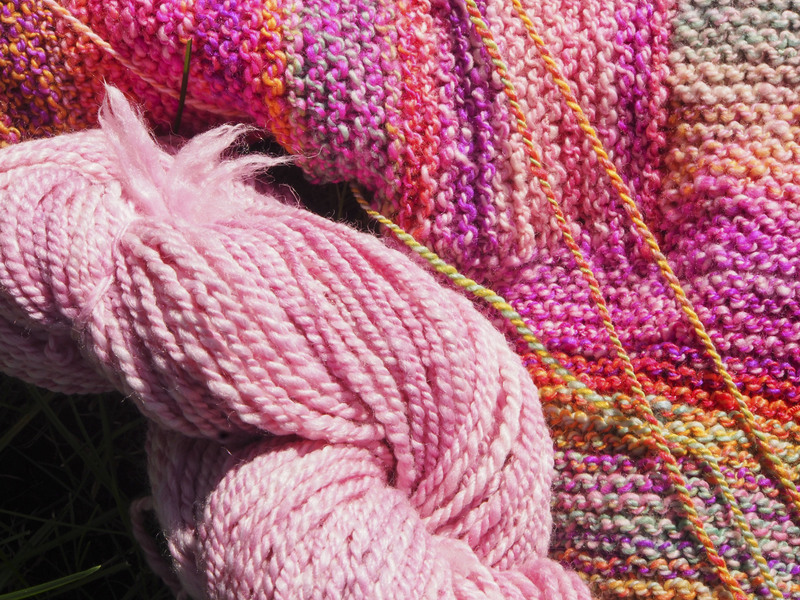 The sweater had been on hold until I finished spinning this edging yarn. Need to get it out before she grows too much more, we measured her late July.